I am known for not having a sense of direction, and have been found lost even in my own office and on the plane! Signs play a very important role in my life. Having travelled quite extensively, especially in my lawyering days, I am fascinated by the different signs in different countries messaging the need to be gracious. In Taiwan for instance, there are signs for keeping to the right (we keep to the left) for people using escalators. 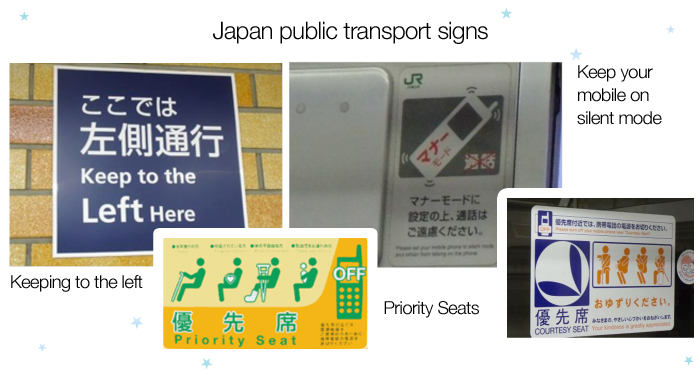 There are also signs for “Reserved Seats” in the public transport system and for queuing. Clearly they work, for to the best of my observations at several Taipei Metro stations and trains, commuters clearly practice the norms. 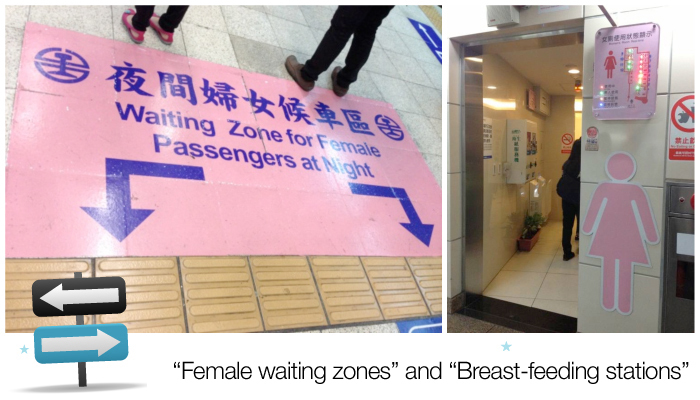 But the Taiwanese go further than us in that they have signs for “Female Waiting Zones” and for “Breast-feeding Stations”. There are signs for customer service for the handicapped and “free Wifi” and “Mobile Phone Charging Counters”. 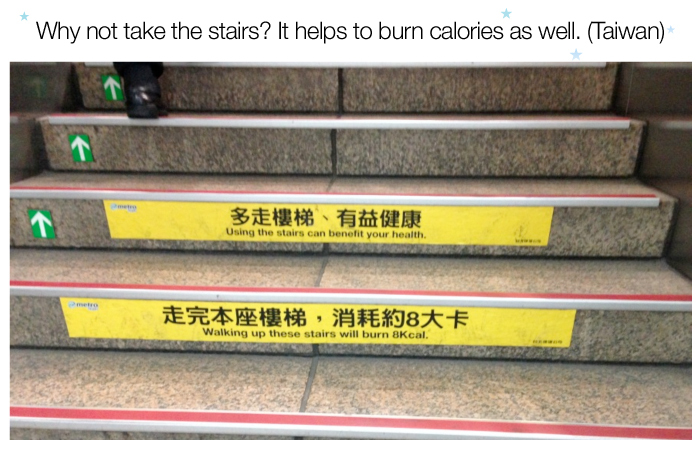 They encourage the use of stairs in public places “to burn calories”. 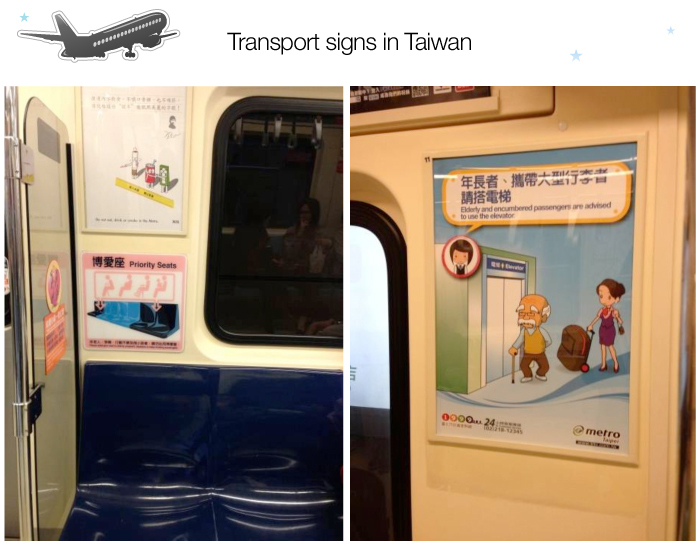 Hong Kong public transport carries loud signs you cannot miss! 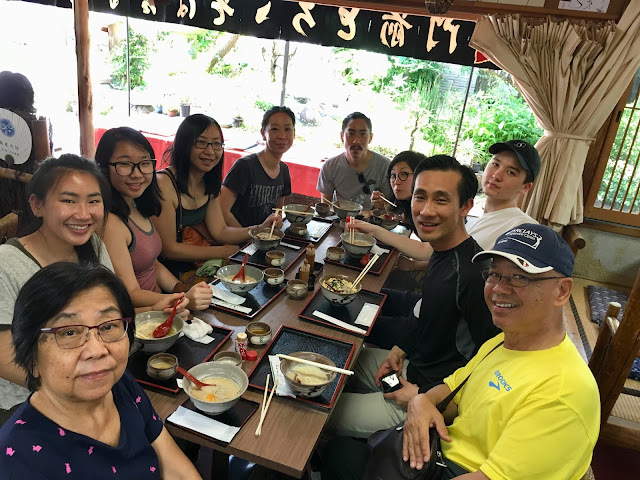 In Japan, in addition to the signs for “Priority Seats” and “Keeping to the Left”, Japanese public behavioural norms include the courtesy of keeping the mobile phone on silent mode and not using it at all on the public transport systems. 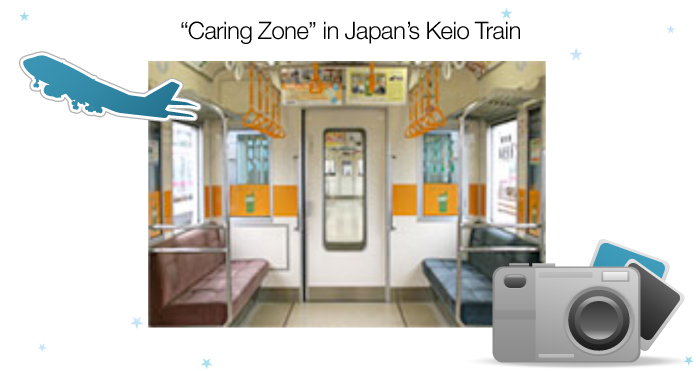 On Keio Trains they even allocate a “Caring Zone”. 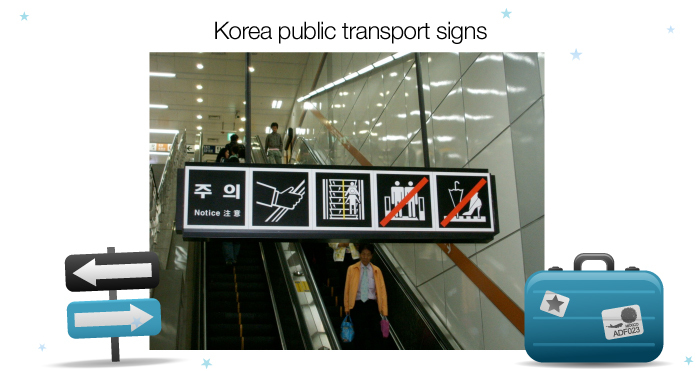 Koreans display their signs prominently. They reserve their seats for not only pregnant women but women with babies in arms as well. 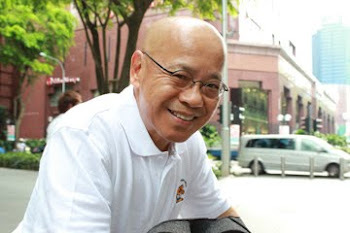 The Malaysians, Brazilians and Viennese are of the same view in this regard. The signs in the London Tube System are unambiguous and ubiquitous. 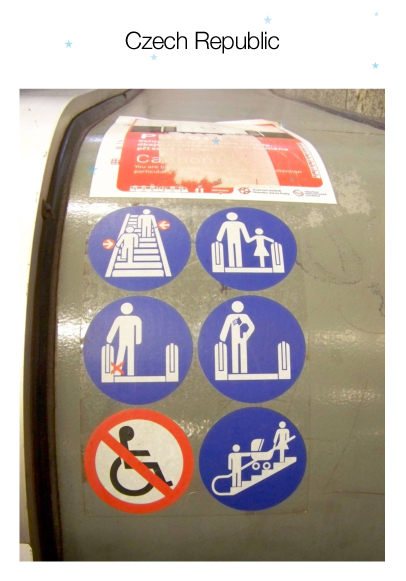 The Czech Republic advises commuters on how to use the escalator when you are pushing a perambulator. 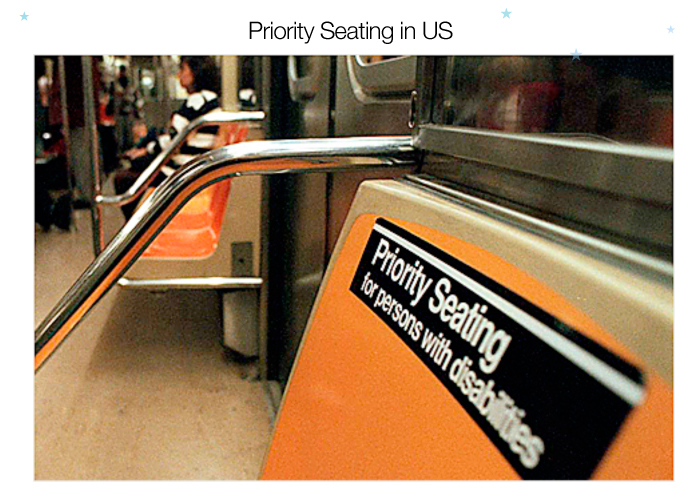 In the US, priority seating is given to persons with disabilities. In Singapore, we have apparently embraced the norms of queuing. Anecdotal evidence points to a gradual acceptance of keeping to the left on escalators and giving up seats to those who need them more. In other aspects including not rushing onto the exit path as the train doors open or the use of mobile phones, we are still not quite there yet. 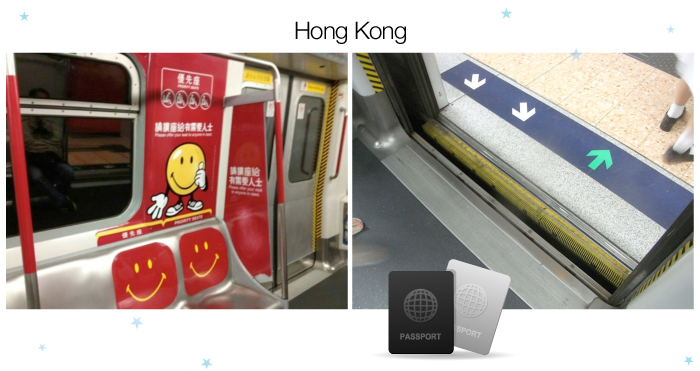 Different countries may have different messaging but they all convey one main message – the need to be considerate / gracious on public transport. 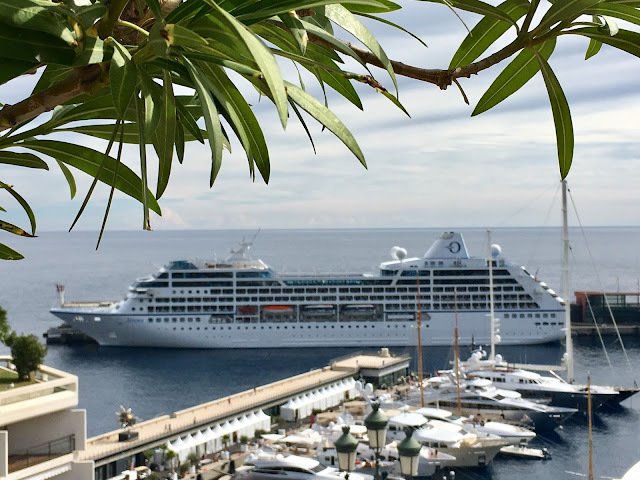 To make life more pleasant for everyone, especially in crowded conditions, consideration for the needs of others is more pressing if we care to make our daily journeys more pleasant for ourselves and for others. 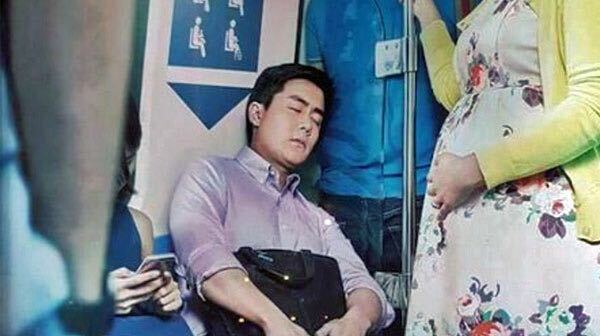 Interesting.... Maybe an 'all-women' cabin would be good in Singapore! Love the priority seats for the disabled. 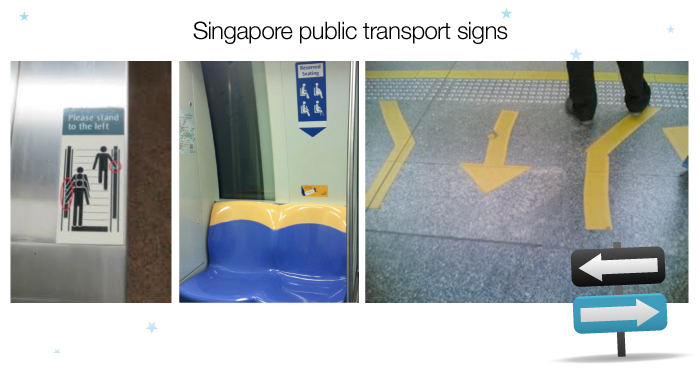 In Singapore, even those in wheelchairs can't even board the train!